The Big Sick – “Pakistan-born comedian Kumail Nanjiani and grad student Emily Garkner fall in love but struggle as their cultures clash. 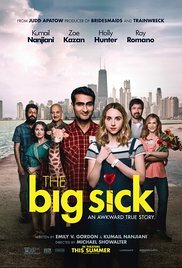 When Emily contracts a mysterious illness, Kumail finds himself forced to face her feisty parents, his family’s expectation, and his true feelings.” IMDB This is the one Oscar-contender on my list, and for good reason. Character development and storytelling are in fine form. I look forward to watching this one again this winter. 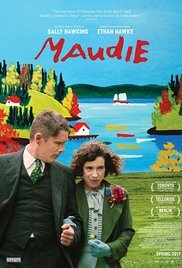 Maudie – “An arthritic Nova Scotia woman works as a housekeeper while she hones her skills as an artist and eventually becomes a beloved figure in the community.” IMDB Sally Hawkins and Ethan Hawke have long been favorites of mine. They shine in this film based on a true story. If you want to see an old-fashioned feel-good story, see Maudie. 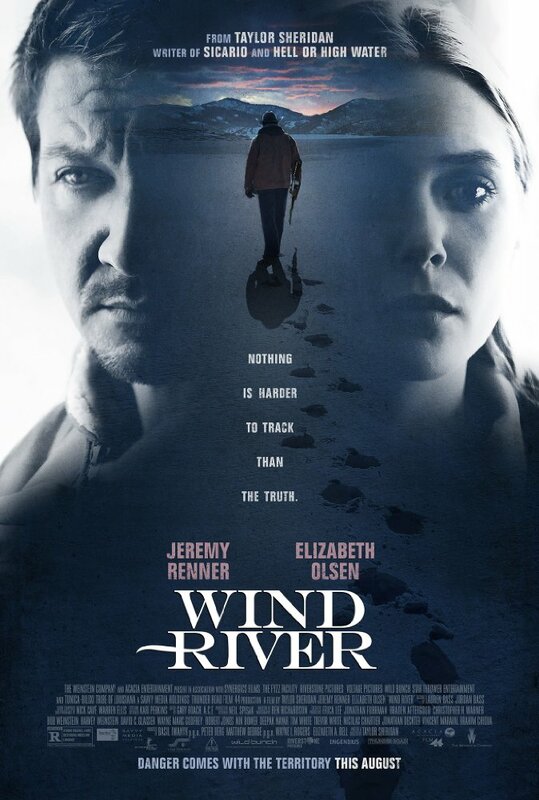 Wind River – Elizabeth Olsen and Jeremy Renner star in this chilling murder mystery set in the icy backwoods of a Native American Reservation. This film is important purely because there are not many films about life today in the Mountain West or Reservations. The cinemetagraphy is outstanding, allowing the landscape to be a character in the film. Graham Greene, a favorite of mine from Dances with Wolves and Northern Exposure, also stars. Marshall – “A black man charged with sexual assault and attempted murder of his white socialite employer. 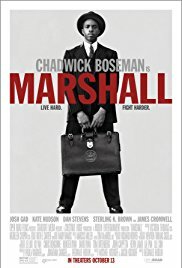 A young Thurgood Marshall must mount the defense in an environment of racism and anti-Semitism.” Facebook Chadwick Boseman and Josh Gad give great performances and have great chemistry as the team of lawyers. I hope the song from the closing credits, “Stand Up For Something” by Andra Day is nominated for an Oscar. 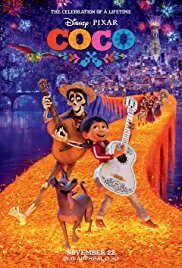 Coco – “Despite his family’s baffling generations-old ban on music, Miguel dreams of becoming an accomplished musician like his idol, Ernesto de la Cruz. Desperate to prove his talent, Miguel finds himself in the stunning and colorful Land of the Dead following a mysterious chain of events. Along the way, he meets charming trickster Hector, and together, they set off on an extraordinary journey to unlock the real story behind Miguel’s family history.” Disney/Pixar Thankfully, the studio took its time and did this film right. The storytelling, art, and music are wonderful.